When clients mail me to ask if the CBD oils will help with their conditions I like to do some research for them and put together some information that I find so it may help them in making a decision as to whether they would benefit from CBD oils. Vertigo feels like you or everything around you is spinning – enough to affect your balance. It’s more than just feeling dizzy. A vertigo attack can last from a few seconds to hours. If you have severe vertigo it can last for many days or months. Can CBD Oil Help and How?? It is great to know that CBD (cannabinoid) oil can be of benefit to people with vertigo and Meniere’s Disease. This extract of the cannabis plant can be life-altering for many people. Because of changing laws, people are rediscovering that cannabis has many health benefits that have not been talked about until recently, though for many years previous to Big Pharmacy’s growth, people were given elixirs containing CBD. People who suffer from the intense vertigo (dizziness) and nausea due to an inner ear problem a condition of unknown cause called Ménière’s disease often find significant improvement from cannabis, according to California doctors. Cannabis (CBD oil included) has been shown to stop the spinning. It also helps with the nausea caused by the dizziness. In 1861, the French physician Prosper Meniere described this condition. Meniere’s disease is a disorder of the inner ear, which causes episodes of vertigo (dizziness), ringing in the ears (tinnitus), a feeling of fullness or pressure in the ear, and periodic hearing loss. The area of the ear affected is the entire labyrinth, which includes both the semicircular canals and the cochlea. 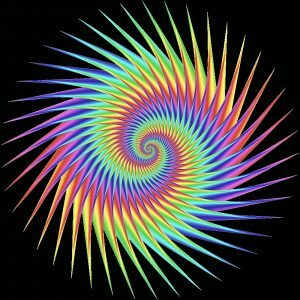 A Meniere’s episode generally involves severe vertigo (spinning), imbalance, nausea and vomiting. The average attack lasts two to four hours. Following a severe attack, most people find that they are exhausted and must sleep for several hours. Allan Frankel, M.D., of Greenbridge Medical states the following, “We are all very familiar with both CBD rich and THC rich medicines helping a lot with nausea. In recent months I have seen a number of patients with vertigo from different etiologies. A few have been related to inner ear issues, a few have been associated with local cancers and a few were a part of a systemic neurological disorder. They seem to share one thing in common; they all seem to respond to CBD in doses of 6 mg per 24 hours. CBD oil can cure vomiting and nausea. The non-psychotropic components of this oil activate certain autoreceptors, which causes antiemetic/anti-nausea effects in the body. When it comes to inflammation, some people can only find relief with CBD oil, particularly those with advanced cases of rheumatoid arthritis, multiple sclerosis, migraines, joint disorders, and pervasive muscle pain. In some cases, people have reported nearly miraculous improvement in the inflammatory symptoms of chronic diseases. I feel comfortable thinking about Vertigo the same way I think of nausea. Both CBD and THC are effective in treating both nausea and vomiting; not all that surprising as they are so frequently related.